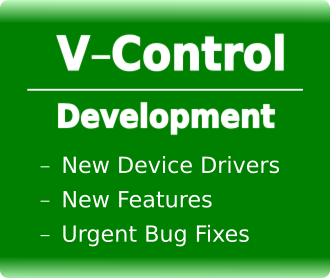 You need to extend V-Control wit a new device driver or need a special functionality that is not yet implemented? Found a bug that you need to be fixed as soon as possible? 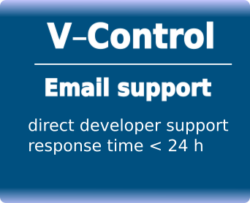 We offer those services on a hourly basis. Before purchasing here, please contact us with a detailed description of your wishes and ask for a quote.